Provide comfort for the family of Patricia A. "Pat" Jerrett with a meaningful gesture of sympathy. Patricia A. "Pat" Jerrett, 76, of Dickeyville, Wisconsin, died Tuesday, February 12, 2019, at Epione Pavilion in Cuba City. Services will be 10:30 a.m. Saturday, February 16, 2019, at Holy Ghost Catholic Church in Dickeyville with Rev. Bernard Rott officiating. Friends may call from 3-7 p.m. Friday at Casey Funeral Home & Cremation Services in Cuba City where the parish wake service will be at 2:45 p.m. Friends may also call from 9-10:15 a.m. Saturday at the church before the service. Pat was born on August 21, 1942, in Kieler, Wisconsin, the daughter of Andrew and Ivyl (Thor) Brand. She married Darryl Jerrett Jr. on April 4, 1961. She worked at Loudspeaker Component in Lancaster and the Dickeyville Grotto. Pat was a member of Immaculate Conception Parish in Kieler and since 1971 a member of Holy Ghost Parish in Dickeyville. 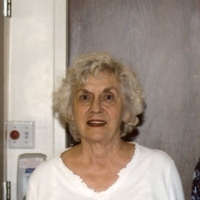 She was very interested in genealogy and was a member of the Grant County Genealogy Society. Pat loved traveling. Family vacations were very important to her. Family and church were her loves. Survivors include her husband, Darryl, Dickeyville; two daughters, Michelle (Scott) McClory, Elkhorn, WI, and Angela (Joe) Van Ostrand, Metamora, OH; a son, Bryan Jerrett, Dickeyville, WI; three sisters, Mary Ann (William) Troy, Kieler, WI, Connie Dyer, Davenport, IA, and Sharon (John) Wagner, Lafayette, IN; a brother, Gary (Sue) Brand, Davenport, IA; a sister-in-law, Mary Rita Brand, Dickeyville, WI; nine grandchildren; and five great-grandchildren (with another on the way). She was preceded in death by her parents, Andrew and Ivyl; an infant son, Jeremiah, in 1971; and a brother, James Brand. 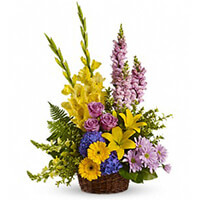 To send flowers in memory of Patricia A. "Pat" Jerrett (Brand), please visit our Heartfelt Sympathies Store. The parish wake service will be at 2:45 p.m. Friends may also call from 9-10:15 a.m. Saturday at the church before the service. We encourage you to share your most beloved memories of Patricia A. "Pat" here, so that the family and other loved ones can always see it. You can upload cherished photographs, or share your favorite stories, and can even comment on those shared by others. The Hamilos Family sent flowers to the family of Patricia A. "Pat" Jerrett (Brand). I extend my heartfelt sympathy to the Jerrett family. I know Pat will be sorely missed and fondly remembered. You can find great comfort in the hope for the future present in the bible. At Isaiah 25: 8, the Bible promises a time when God “will swallow up death forever.” Also, Acts 24:15 boldly states, "there is going to be a resurrection." The resurrection this verse talks about will give us the opportunity to see our lost loved ones again on Earth. I know it will be a joyous time when you can reunite with Pat! Grandma will forever be in our hearts and family traditions, we are so thankful for the memories we've made with her. We love you! The Hamilos Family purchased the Love's Tapestry for the family of Patricia A. "Pat" Jerrett. 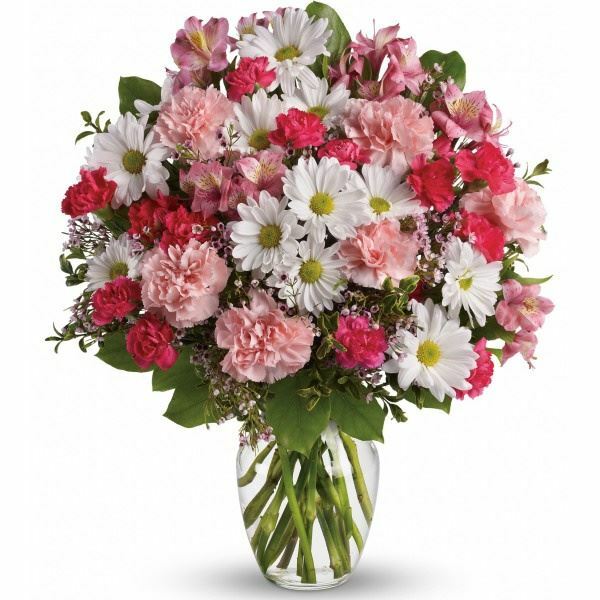 Heartfelt Sympathies Store purchased flowers for the family of Patricia A. "Pat" Jerrett.